In recent years, concerns about the San Andreas Fault and its strong seismic activity have risen. The San Andreas Fault is a tectonic plate boundary between two tectonic plates called the North American Plate and the Pacific Plate. It measures at a length of around 800 miles and is near major cities such as San Francisco, San Bernardino and San Jose. It has been relatively dormant for quite some time, and seismologists believe that California is going to experience a devastating earthquake with an estimated magnitude of 8.0 or higher in the near future. California is known for frequent earthquakes. These have occurred numerous times in recent years, many of them being weak and unnoticeable. However, there have been catastrophic earthquakes that have killed many people and damaged infrastructure. Take the 1906 San Francisco Earthquake for example. This event changed the perspectives of many Californians, being a true eye-opener to the dangers from the ground. Due to the lack of preparation, many people were caught off guard and, as a result, around 3,000 people lost their lives and 80% of San Francisco was utterly destroyed. In a sense, modern Californians are privileged enough to learn from that fateful day in 1906. 110 years later, earthquake safety precautions and guidelines have been vastly implemented into schools and workplaces, teaching everyone about the sudden dangers an earthquake presents. One of these earthquake precaution programs is the Great ShakeOut Earthquake Drills. This program began in 2008 and is a statewide earthquake drill held at 10:20 a.m. on Oct. 20 every year. This year, a total of 23.5 million people have signed up to participate in the Great ShakeOut, 9.7 million of which hail from California, the original location of these drills. Many people that attended primary school in California may recall the mandatory drill that abruptly shortened class periods and forced students to line up outside. You may not have thought much of it then, but as the dangers of the earthquake rises, programs such as these illustrate the importance of being informed. In this case, it’s better to be safe than sorry. Recently, concern has heightened in California. The Office of Emergency Services actually announced an official warning of an earthquake affecting several counties, primarily in Southern California. Following the 4.3 magnitude earthquake near Bombay Beach, 150 miles east of San Diego, the governor cited scientists from multiple universities who predicted a follow-up earthquake with greater or equal magnitude. This warning was issued to citizens, advising them to find protection and reminding them of earthquake drills. The dates covered were from Sep. 26 through Oct. 4. Although residents have not heard any reports of this predicted earthquake, it goes to show just how real and urgent the danger is to us, our friends, family members and fellow Californians. 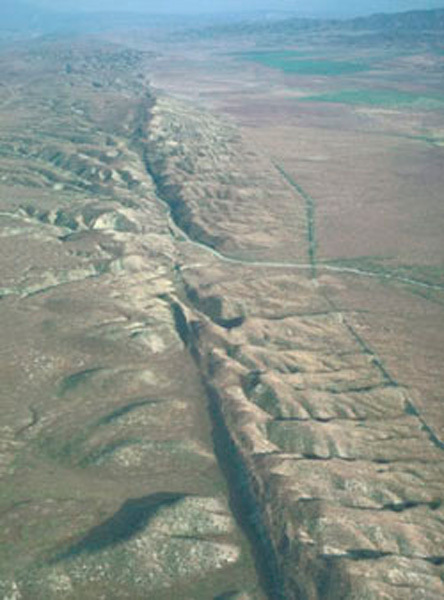 The San Andreas Fault will always be a dangerous phenomenon of nature. It is an important landmark to study for the future of earthquake safety, but its also a life-threatening burden for many people who live in California. However, with greater knowledge and an improving defense against seismic activity, it’s reassuring to know that the future will hold better protection and responses to earthquakes.